Rockers TREMONTI have just released another music video for the latest single from the band’s Napalm Records release, A Dying Machine. 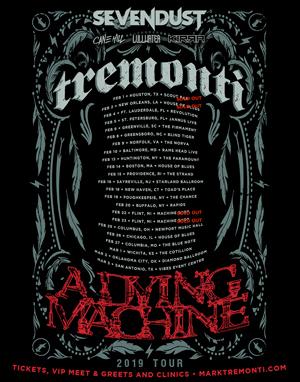 “Throw Them To The Lions” is an up-tempo metal song, something that TREMONTI has come to be known for over their multiple releases through the years. The video was filmed at a recent sold-out show in the UK and can be seen on KNAC.COM HERE.